Styczyńska, Natasza (2018) Eurosceptic Parties in the Central and Eastern European Countries: A Comparative Case Study of Poland, Hungary and Bulgaria. In: Benjamin Leruth, Nicholas Startin, Simon Usherwood (eds. 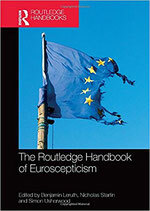 ), The Routledge Handbook of Euroscepticism. London: Routledge. 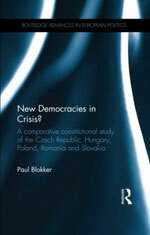 Blokker, Paul (forthcoming) The Evolution of Constitutionalism in Post-Communist Countries. In: P. van Elsuwege and R. Petrov (eds. ), Post-Soviet Constitutions and Challenges of Regional Integration: Adapting to European and Eurasian integration projects. London: Routledge. Weiss, Tomáš (2017) Promoting National Priorities in EU Foreign Policy. The Czech Republic's Foreign Policy in the EU. London: Routledge. 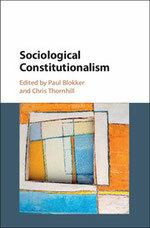 Blokker, Paul and Chris Thornmill (2017) Sociological Constitutionalism. Cambridge/New York: Cambridge University Press. Vogel, Lars and Juan Rodriguez-Teruel (eds.) (2016) National Political Elites and the Crisis of European Integration, Country Studies 2007-2014. Special Issue of Historical Social Research 41.4. Šlosarčík, Ivo (2016) Europeanised policy making in the Czech Republic and its limits. In: Arnošt Veselý et al. (eds. 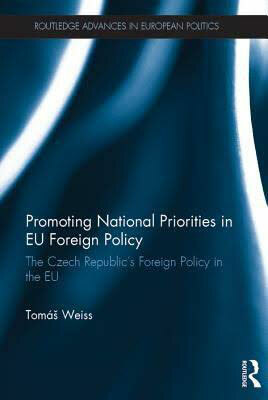 ), Policy Analysis in the Czech Republic. Bristol: Policy Press. Blokker, Paul (2016a) A Political-Sociological Analysis of Constitutional Pluralism in Europe. In: Jiri Priban (ed.) Self-Constitution of Europe: Symbols, Politics and Law. London: Routledge. Blokker, Paul (2016b) EU Democratic Oversight and Domestic Deviation from the Rule of Law: Sociological Reflections. In: C. Closa and D. Kochenov (eds. ), Reinforcing the Rule of Law Oversight in the European Union. Cambridge: Cambridge University Press. Lorenz, Astrid (2016) Parties and Rules. 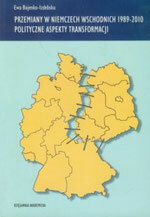 Constitution-making in the East German Länder after 1990. 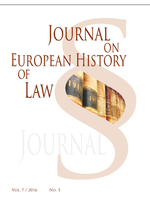 In: Journal on European History of Law 7(1): 28-35. Styczyńska, Natasza (2016) Does Europe Matter at All? European Issues in the Discourse of Polish Political Parties. 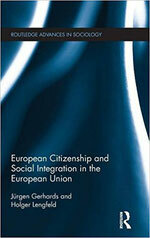 In Radovan Gura and Gilles Rouet (eds) Les Citoyens et l'integration europeenne. L'Harmattan. Weiss, Tomáš (2016) Too Limited, Too Late: Evaluating the Czech Republic's Performance as a Small-State Lobbyist in EU External Policy. 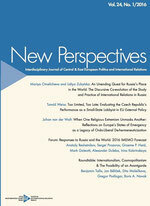 In: New Perspectives 24(1): 53-78. Lauth, Hans-Joachim, Marianne Kneuer and Gert Pickel (2015) Handbuch Vergleichende Politikwissenschaft. Wiesbaden: Springer VS.
Bos, Ellen and Kálmán Pócza (2014) Verfassunggebung in konsolidierten Demokratien. Neubeginn oder Verfall eines politischen Systems? Andrássy Studien zur Europaforschung 13. Baden-Baden: Nomos. Hainz, Michael, Gert Pickel, Detlef Pollack, Maria Libiszowska-Żółtkowska and Elżbieta Firlit (eds. ), (2014) Zwischen Säkularisierung und Revitalisierung. Religiosität in Deutschland und Polen im Vergleich. 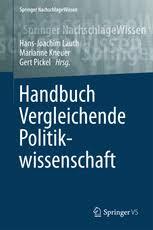 Wiesbaden: Springer VS.
Blokker, Paul (2013) New Democracies in Crisis? A Comparative Constitutional Study of the Czech Republic, Hungary, Poland, Romania and Slovakia, Series: Routledge Advances in European Politics. London/New York: Routledge. Šlosarčík, Ivo (2013) Transformace kondicionality v Evropské unii. Praha: Karolinum. 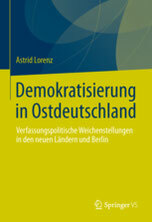 Lorenz, Astrid (2013) Demokratisierung in Ostdeutschland. Verfassungspolitische Weichenstellungen in den neuen Ländern und Berlin. Wiesbaden: Springer VS.
Pállinger, Zoltán Tibor (2012) Citizens' Initiative in Hungary: An Additional Opportunity for Power-Sharing in an Extremely Majoritarian System. In: M. Setälä and T. Schiller (eds. 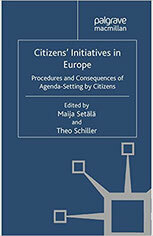 ), Citizens’ Initiative in Europe. London: Palgrave. 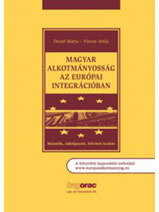 Dezső, Márta and Attila Vincze (2012) Magyar alkotmányosság az európai integrációban. Budapest: HVG-ORAC. Węc, Janusz (2012) Wpływ integracji europejskiej na przemiany kulturowe i rozwój społeczno-gospodarczy Euroregionu „Śląsk Cieszyński”. Kraków/Bielsko-Biała: Księgarnia Akademicka. Lorenz, Astrid (ed.) 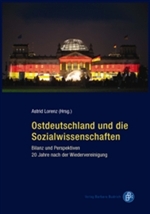 (2011) Ostdeutschland und die Sozialwissenschaften. Bilanz und Perspektiven 20 Jahre nach der Wiedervereinigung. Leverkusen: Verlag Barbara Budrich. Bojenko-Izdebska, Ewa (2011) Przemiany w Niemczech Wschodnich 1989-2010: polityczne aspekty transformacji. Kraków: Księgarnia Akademicka. Bujwid-Kurek, Ewa (2008) Państwa pojugosłowiańskie. Szkice politologiczne. Kraków: Wydawnictwo Uniwersytetu Jagiellońskiego. Mach, Zdzisław (2007) Constructing identities in a post-communist society: ethnic, national, and European. In: D. Bryceson, J. Okely and J. Webber (eds. ), Identity and Networks. Oxford: Berghahn. 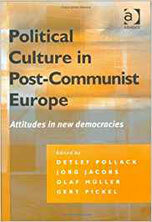 Pollack, Detlef, Jörg Jacobs, Olaf Müller and Gert Pickel (2003) Political Culture in Post-Communist Europe. Attitudes in new democracies. Aldershot: Ashgate.